Eliminate computer downtime, reverse changes to student computers, and fix issues with a simple reboot. 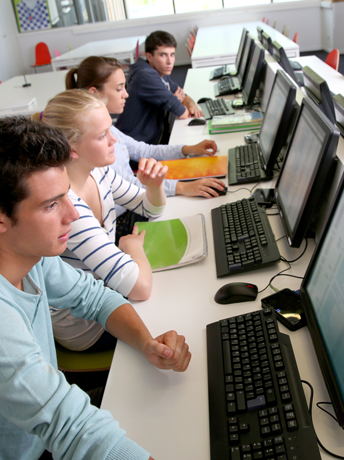 Manage classroom testing environments with ease. Restrict functionality, block unauthorized programs, and reverse configuration changes with a simple reboot. Patented Reboot to Restore Technology provides bulletproof protection to computers and ensure uninterrupted education. Operating 3,000 Windows workstations across two towns with only three team members is no easy feat. With having to support so many students, teachers, and administration, maintenance and update times were becoming common concerns for Aaron and his IT team. They also found it challenging to keep the computer labs at each school up-to-date due to regular updates from programs like Flash and Shockwave, and bi-weekly updates from Java.